We represent and provide counsel to business owners in the purchase and sale of businesses, real estate transactions, the drafting of contracts and agreements, litigation of business disputes, employment law matters, collections and enforcement of creditors' rights. See below for a complete list of our practice areas. Services provided for individual clients include estate planning, divorce and family law matters, real estate transactions, personal injury claims and litigation. See below for more specific information regarding legal services for individuals. 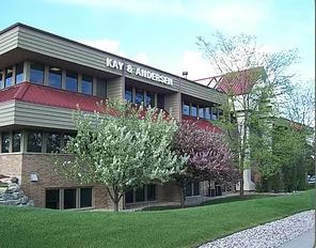 For many years, Kay & Andersen has been a well known provider of services to the construction industry, including contractors and design professionals. We represent professionals in a variety of fields including administrative and regulatory proceedings involving licensing issues, including disciplinary proceedings and appeals. Click here for information regarding representation in licensing and disciplinary proceedings. ​NOTE: The sending of an email communication to the law firm or a particular attorney does not create an attorney-client relationship and the information contained in the email is not automatically protected under SCR 20:1.6, the confidentiality rule. Before establishing an attorney-client relationship, we will need to determine whether we have a conflict of interest with any other clients, and discuss and agree upon the terms of legal representation. Do not send confidential information to us until such time that an attorney-client relationship has been established. Kay & Andersen is recognized for maintaining the highest professional legal standards and ethics by Martindale-Hubbell, the legal industry's most recognized lawyer rating service. The "A" signifies the highest level of legal ability, while the "V" denotes "very high" adherence to the professional standards of conduct, ethics, reliability and diligence. Attorney Bob Mich was named as a Wisconsin Super Lawyers--Rising Star by Law & Politics Media, Inc. in 2008, 2010, 2011 and 2012. Access to many articles and publications is available through this website.